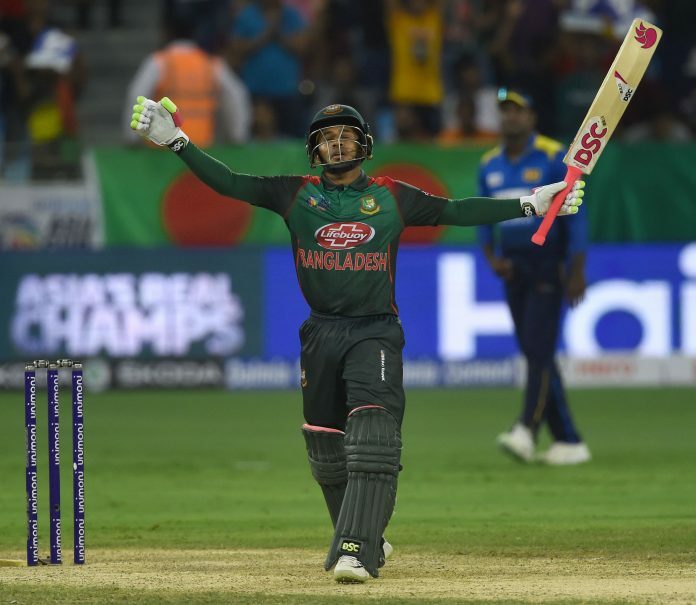 It was a brilliant match-turning knock by fomer captain Mushfiqur Rahim which helped Bangladesh not only recover from a difficult position but also thumped their opponents by a big 137 run margin to open their Asia Cup campaign in Dubai on Saturday. The 31-year-old held one end intact after walking to bat two wickets down for a mere one run in the second over. He smashed 11 boundaries and four sixes to carry his team to 261 in 49.3 overs before he was the last man out. The victory is Bangladesh’s second biggest victory against their much experienced opponents behind their 163-run win earlier this year. Sri Lanka had lost half their side for a mere 60 runs and fell to their lowest total against Bangladesh. Their previous worst was 147 in Dhaka nine years ago. Sri Lanka were bowled out for 124 in 35.2 overs. Bangladesh’s perfromance enthralled a packed 25,000 Dubai stadium with majority being Bengali expats working in the UAE. They braved a stiff 43 degree heat but got their money’s worht and patience rewarded with a home win. Once Mushfiq set the platform Bangladeshi bowlers bowled nagging line and length as none of the Sri Lankan batsmen could stay longer to pose any threat. Opener Upul had shown some fight at the start duirng his 27 which had a six and four boundaries but wickets fell at regular intervals to haunt the Islanders. Kusal Mendis (nought), Kusal Perera (11), Dhananjaya de Silva (nought) and skipper Angelo Mathews (16) all fell below expectations as Mashrafe Mortaza (2-25 ), Mustafizur Rahman (2-20) and spinner Mehidy Hasan (2-21 ) rocked the five-times champions badly. Dilruwan Perera (29), Upul Tharanga (27) and Suranga Lakmal (20) offred some kind of resistance but Bangladesh never allowed any batsman to thrive. Sri Lanka had started the match on a positive note with recalled paceman Lasith Malinga removing Liton Das and Shakib Al Hasan — both without scoring — off successive deliveries in the first over. At 3-2 opener Tamim Iqbal had to retire hurt after being knocked at the left wrist, leaving Mushfiq and Mohammad Mithun to repair the damage. Mithun supplemented his more illustrious partner well, hitting five boundaries and two sixes in his 68-ball 63. The pair added 131 for the third wicket and when Tamim returned at the fall of ninth wicket Mushfiq completed his sixth hundred, further improving on his best ODI score of 117 he made against India at Fatullah in 2014. Malinga finished with 4-23 in his ten overs in his first match since September last year, amply proving his skill and experience. Afghanistan is the third team in group B. Pakistan take on qualifiers Hong Kong in the opening match of group A, in which India is the the other team.